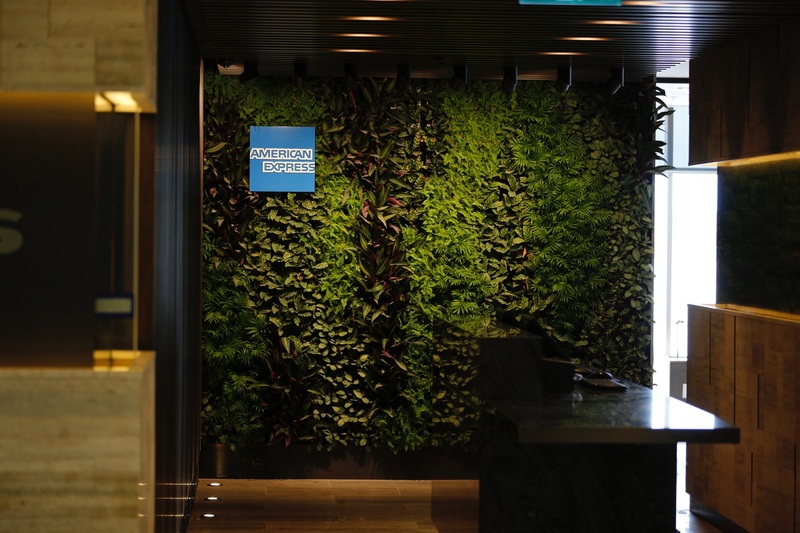 Earlier this year American Express opened a branded lounge at Sydney International Terminal 1. I had a chance to visit recently and check it out, and while I couldn’t take many pictures I did come away with some great impressions of the space. 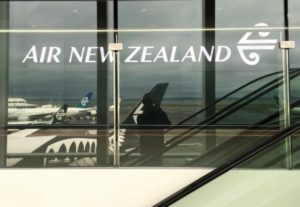 There are a range of American Express cards on the market that will offer you access to the lounge which is a really solid perk, so for Sydney residents who are premium American Express cardholders this is a nice benefit (or for anyone who has to travel through Sydney International lot). 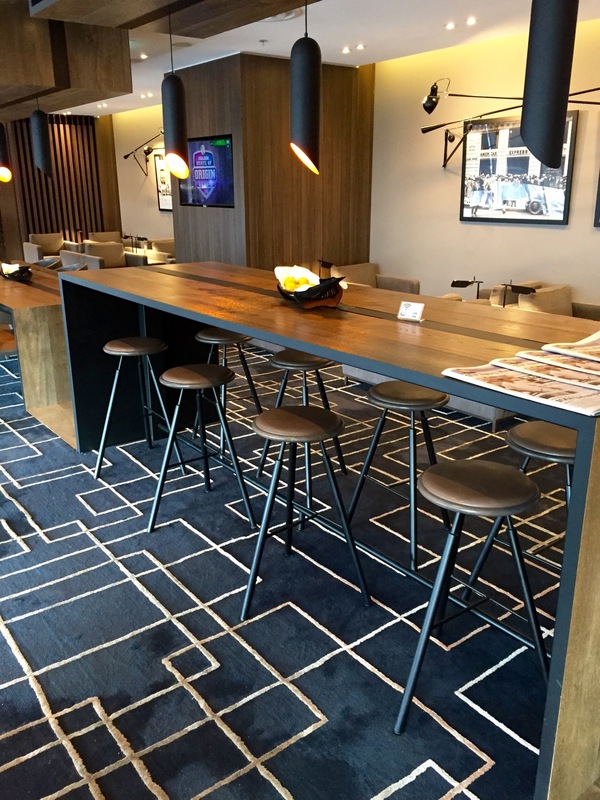 I also got the chance to chat to the Product Manager at American Express who was responsible for launching the lounge about how it came about. 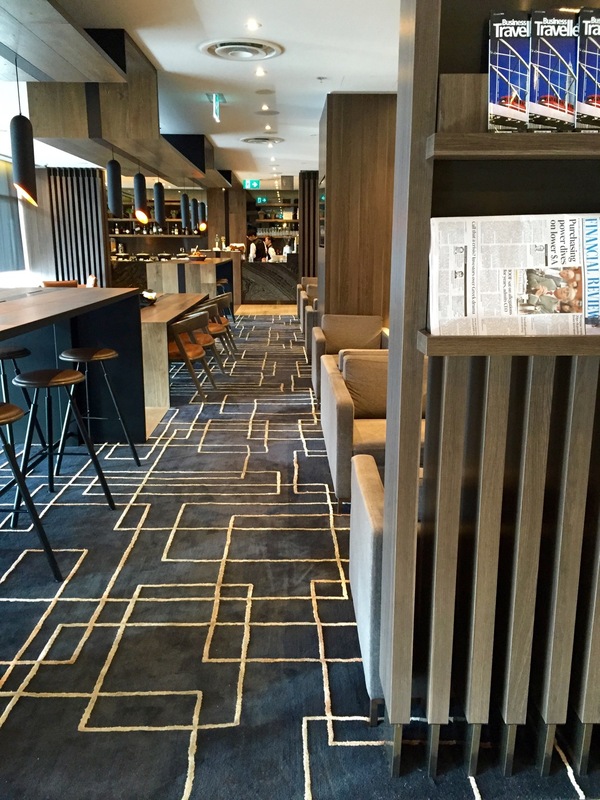 In this guide there’s a mix of American Express supplied images along with my own photos, and I’ll give you my take on the lounge too. It’s close to gate 24 which is fairly central in the terminal complex, another few minutes walk beyond the Qantas Business and First lounges. 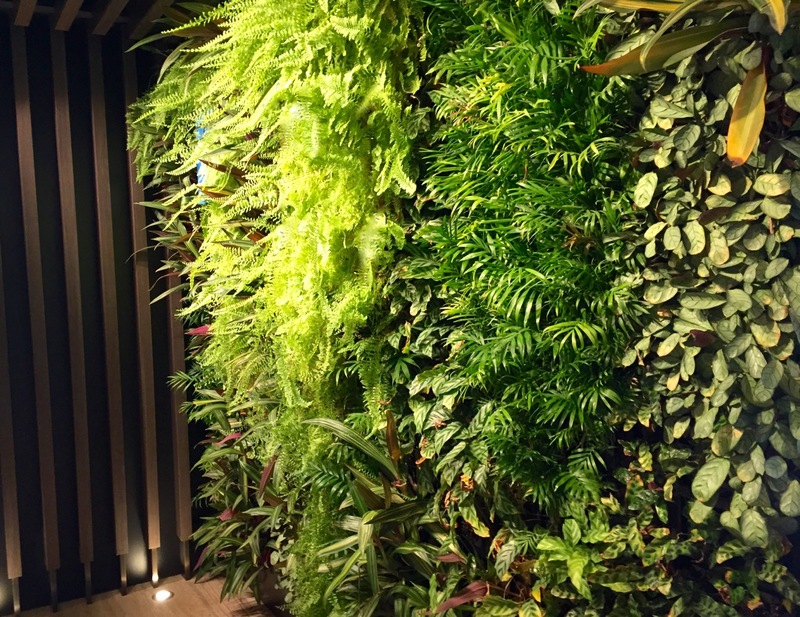 On entry there’s a green wall which helps set the tone for the design of the interior. 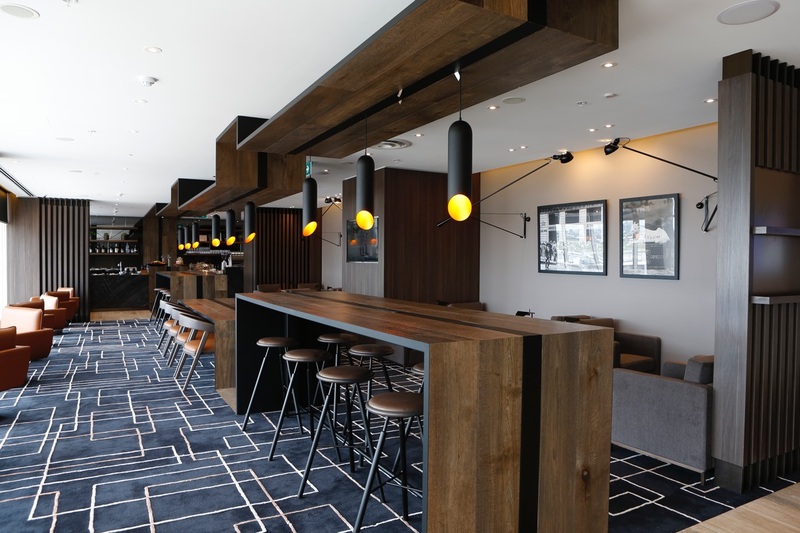 The lounge is split down the centre, with a long bar and high seating. Otherwise there’s some low comfortable seating against the far wall. Along with outward facing window seats for those who want to soak up the view. 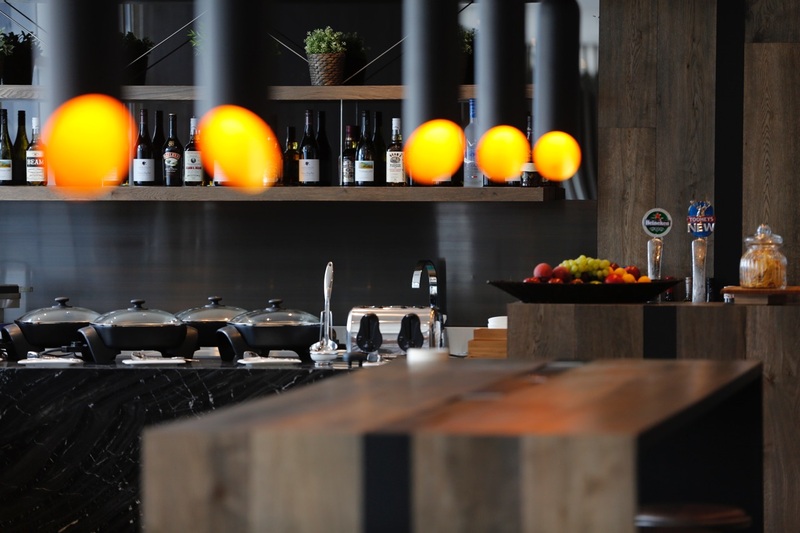 In terms of food and drink, there’s a barista service, well stocked bar, and a range of food options throughout the day. I found the lounge to be relatively quiet was there, around 1-2pm on a Wednesday with just a handful of guests. 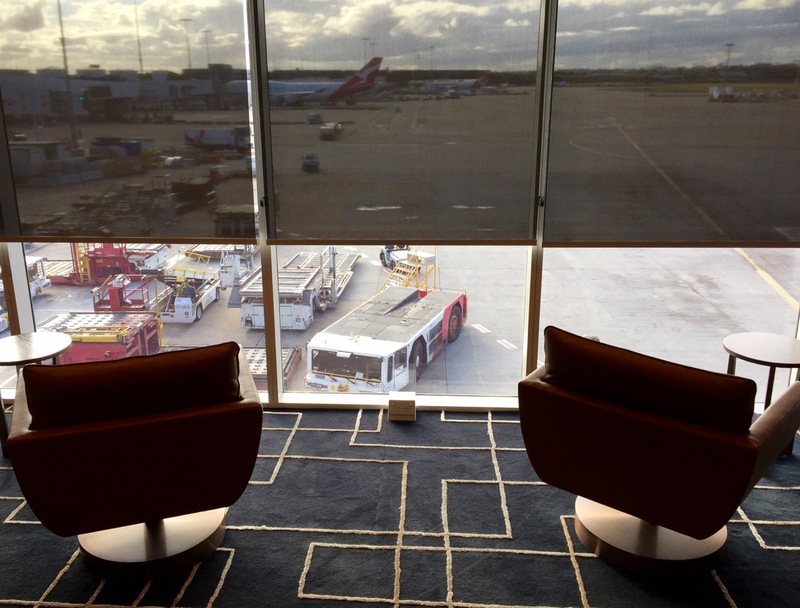 The seating and workspaces were all comfortable and relatively informal, and the views out over the tarmac were definitely more interesting than the Qantas Business Lounge upstairs. I didn’t get a chance to try any of the food or drink, but it looked appealing enough! Next time I’m passing through I’ll take more notes and update this guide with further thoughts. 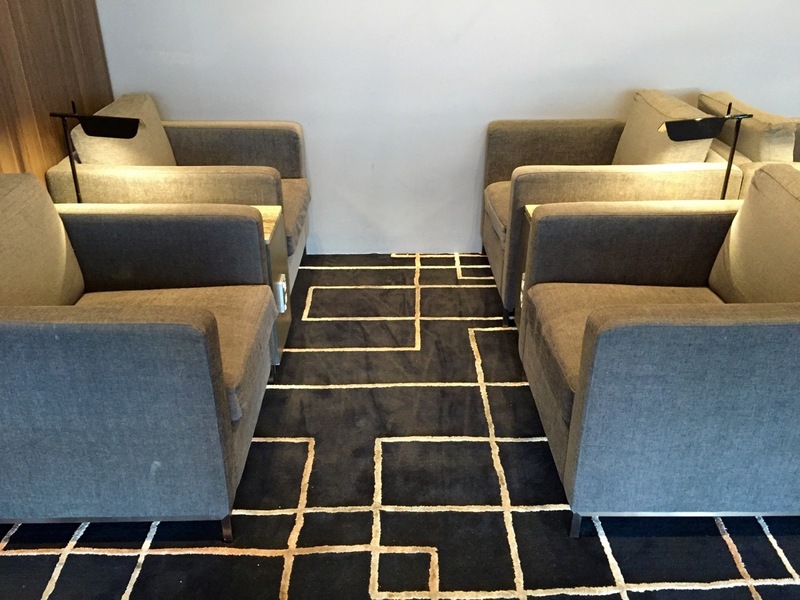 Who is the American Express Sydney lounge useful for? 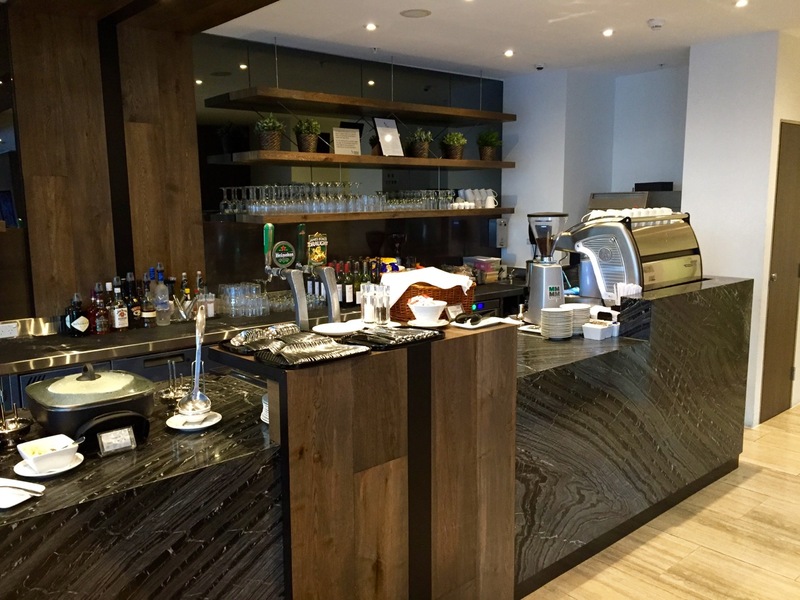 If you’re flying Economy or Premium Economy frequently and value lounge access, using the American Express lounge instead frees you from the likes of paid membership programs like Qantas Club – you can access the American Express lounge with any ticket, on any airline, as long as you are an eligible cardholder. 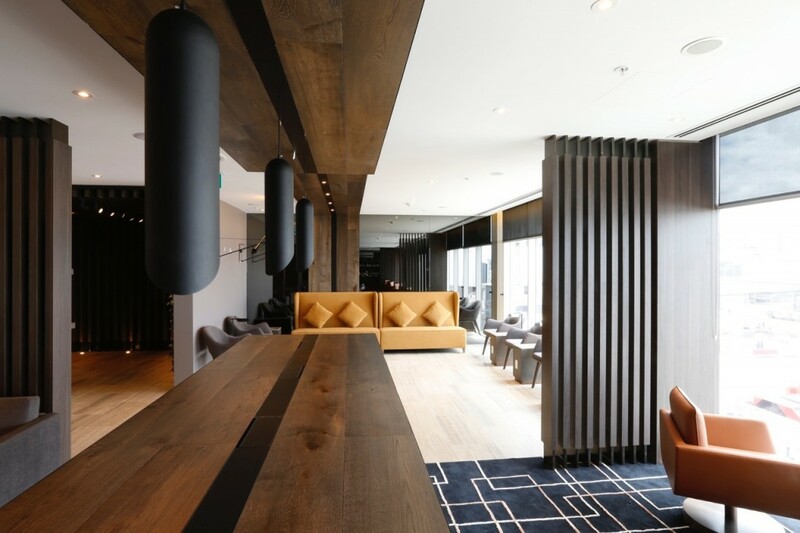 Even if you travel in Business Class (with accompanying lounge access elsewhere with your ticket) this is likely to be a quieter lounge than the major Business lounges at Sydney International, so could be worth seeking out. 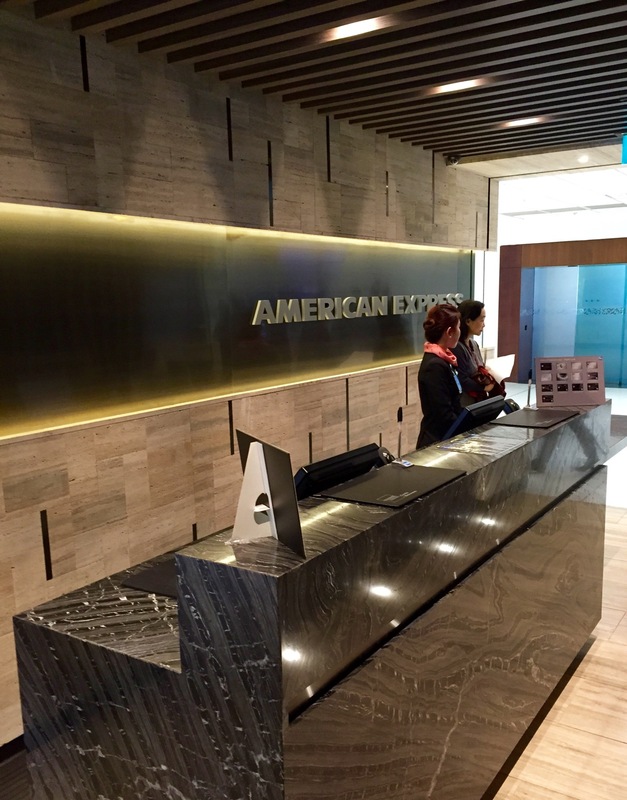 Access to the American Express lounge at Sydney International is limited to those holding one of the higher-end Amex cards in Australia, as well as international holders of the Platinum and Centurion cards. Additional visits beyond the two included with these cards are also possible at a cost of $55 per adult and $35 per child. Children otherwise visit free during one of the included visits, which is a great perk – most other lounges / frequent flyer programs include children as one of the guests. 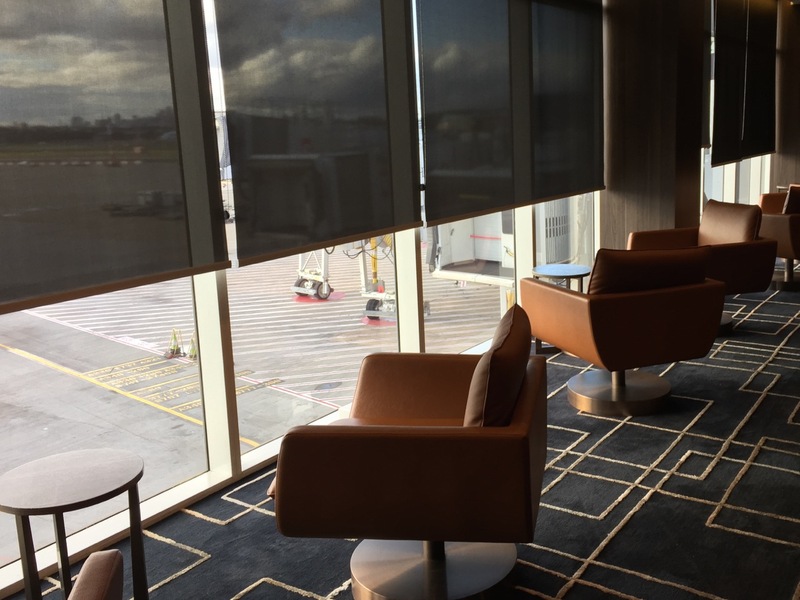 If you’re a frequent traveller through Sydney International in Economy or Premium Economy across a range of airlines then the lounge access as a Platinum Charge cardholder would be really valuable. As a Black or equivalent cardholder with bank-issued American Express, then the two visits per year are a nice perk as well, and ideal for family holidays where you’ll be able to get you and the kids in without issue. The space was calm and quiet, and I would happily spend a few hours here catching up on work, or having a drink and some food before a flight. 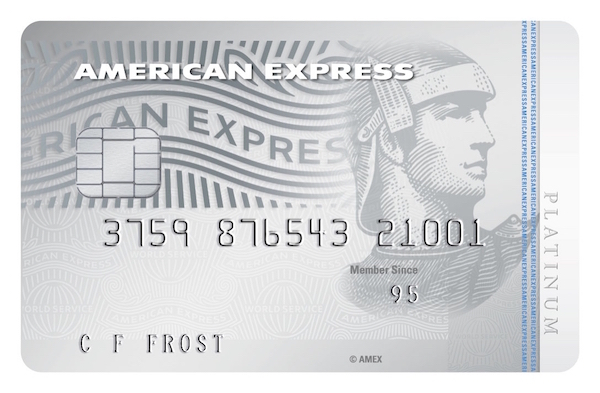 Planing on using this with the new Amex airpoints platinum card, Can I take my partner with the lounge passes that is available with the Platinum card or do i have to pay $55 for my partner? Hey Anthony – yes, in short. The terms of lounge access are here. 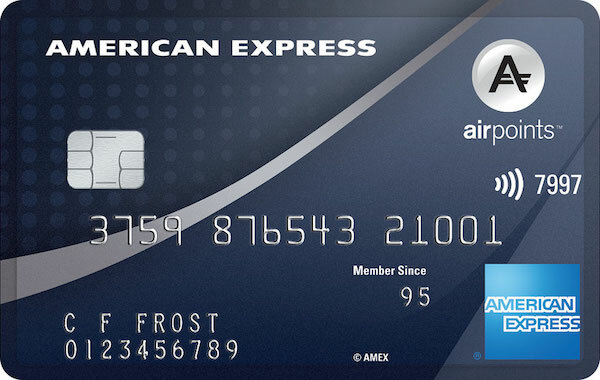 All other eligible cards are entitled to two (2) entries into The American Express Lounge per calendar year (1st January to 31st December) for each American Express Card account. The entries may be used by the basic Card Member, Supplementary Card Member or a guest travelling with a Card Member. Complimentary access is available for the Card Member’s children between the ages of 2-17. Card Members wishing to bring additional guests will be subject to a charge that is to be processed on the Card Member’s American Express Card. Please refer to the reception desk at the American Express Lounge for the applicable charges. If you have any feedback for us on what you’d like to see more of on Point Hacks NZ you can get in touch directly – [email protected]. If you have ideas, would love to hear from you.